This infographic explains how the PronPack Sound Chart is organised, click on the image to see a bigger picture. What is the Sound Chart for? 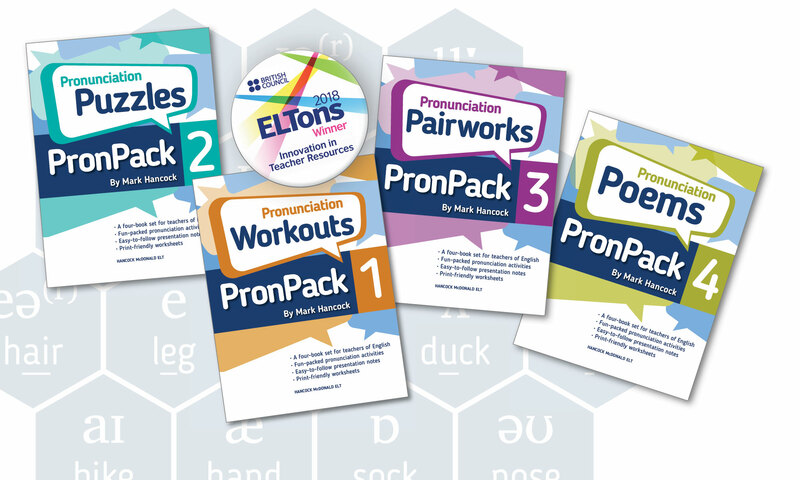 The PronPack Sound Chart is primarily a reference tool and several versions are now available in the Resources to accompany the Pronpack books. Teachers may print a copy as large as possible to put on the classroom wall. Whenever a pronunciation point comes up in class relating to one or more of the individual sounds, you can point it out on the chart. The PronPack Sound Chart is intended to help you and the class find your way around the sounds of English. It enables you to see the ‘big picture’ – the entire system – at a glance. This is useful because if you just encounter the sounds one by one, you have no idea of where you are in the system as a whole. It could appear limitless and consequently impossible to master. The PronPack Sound Chart graphically represents relationships between the sounds, showing those that are comparable with one another and those which are very different. This helps to promote an understanding of the whole system, as well as making it more memorable. Regular users will eventually be able to remember which sound occupies which place in the chart as a whole. Most teachers of English will have come across a sound chart at some point, but few realise how arbitrary they are. I do not mean ‘arbitrary’ in the negative sense of ‘with no good reason’, but rather in the sense that there are choices that the designer has had to make. At every stage in the creation of a chart, the author will have made decisions which could equally well have been otherwise. 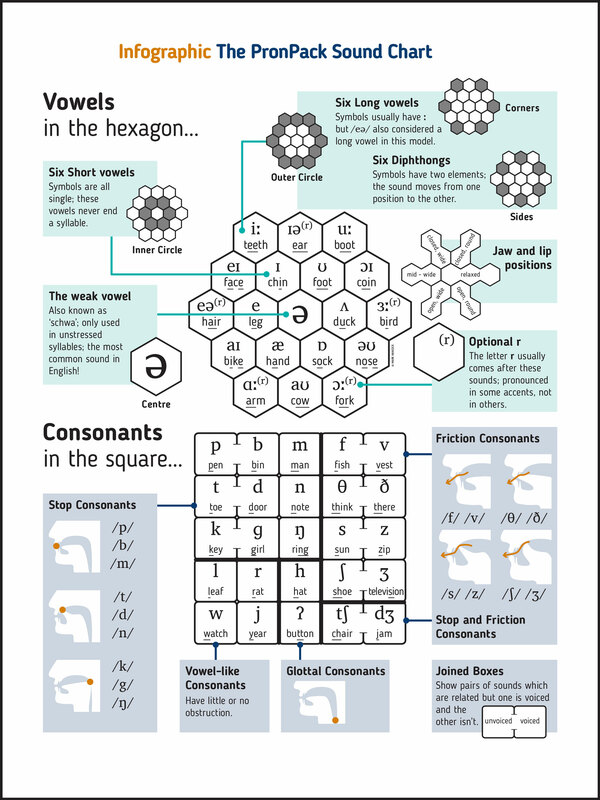 Phonetic facts interplay with pedagogic priorities and graphic limitations, and these forces do not always pull in the same direction, so that compromises are required. Chart design is as much an art as a science. A chart is not objective reality, but one person’s model of reality. hello PronPack, congratulations on your nomination! Hi Olive, many thanks for your message!